Sweet make-up romance after Seth finally leaves Lars for refusing to acknowledge their relationship. The two work through their issues while also taking care of a B&B on their vacation. The incidents at the B&B became a bit much, but it kept giving the guys additional reasons to reconsider their relationship. I also thought getting Lars’ POV would have given the story a stronger emotional pull. Overall, a very enjoyable read. Paralegal Seth Bellski is tired of being the secret lover of his boss, Lars Varga, founding partner of Finch & Varga Law. So when he asks Lars to spend Hanukkah with Seth’s family at their kosher B and B in Whistler, B.C., and Lars refuses, Seth realizes he will never get his self-conscious boss out of the closet. So Seth prepares to spend his Hanukkah holiday alone in the B and B. Instead he finds himself running the place, as his aunt and uncle are missing, and seven demanding, peculiar, and danger-prone guests have arrived. To make matters worse, Lars shows up, begging forgiveness. Lars’s touches remind Seth of why he put up with his boss’s behavior in the first place. If only the words that came out of that beautiful mouth were as sweet as his kisses. But how can Seth find time to fix his broken relationship when the guests are demanding kosher, gluten-free diets, losing their pet terriers, and hitting their heads on the ice? Seth and Lars find themselves put through the paces of being a married couple, all while still broken up. 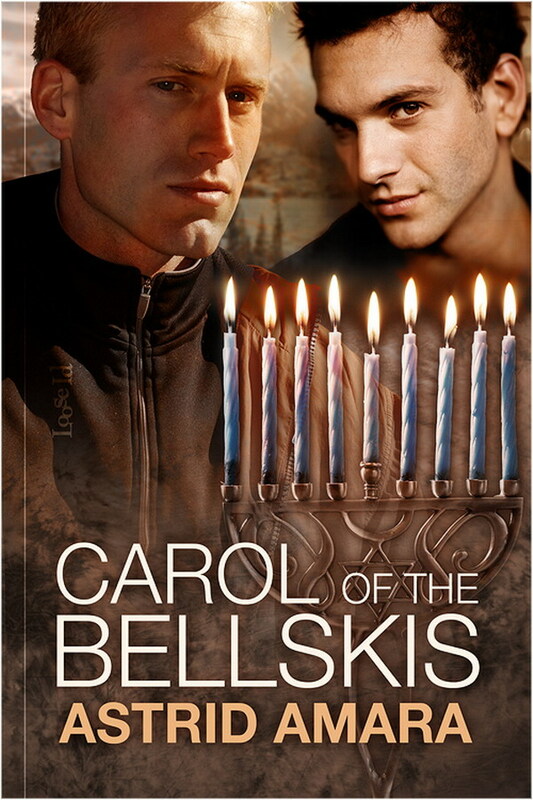 But then again, if they can survive this Hanukah, maybe they’ll be singing a carol of the Bellskis.